This article originally appeared on CampaignLive.co.uk. Agency people tend to work long hours under high pressure. A poor diet or lack of exercise can leave us all susceptible to health concerns, and it’s my job to tackle these issues. 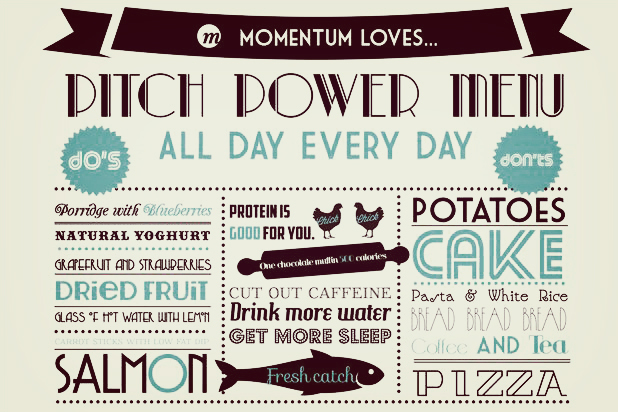 I’m currently working in Momentum two days a week running regular outdoor fitness sessions and liaising with the agency café to help design menus and raise awareness of the importance of good nutrition. How did you become an agency trainer? I spent 24 years in the British Army and, while keeping fit was mandatory, I soon recognised the benefits of outdoor fitness training and healthy eating to productivity. Throughout my career, my colleagues and I had to deal with some stressful situations and went for days without sleep. Maintaining a high level of physical fitness and eating the right food enabled us to keep going, mentally and physically. When I retired from the army, I set up a consultancy specialising in outdoor fitness and personal training. How do you choose the menu for the team? I keep a close eye on the eating habits of those teams working long hours for big projects and pitches. This is the time when healthy eating takes a back seat and levels of stress and fatigue ramp up. I wanted to provide healthy alternatives to the pitch default of fast food that would keep everyone full of energy through high-pressure periods. I studied the takeaway options and shops nearby and designed the "Smash Stress and Fight Fatigue" guidelines. What food do you recommend to improve productivity? Personally, I find that oily fish, spinach, pulses and organic jumbo oats with manuka honey keep my mind and body active. British Army chefs are incredible; they have an uncanny knack of producing a banquet from nothing, often in the middle of nowhere. The old saying "an army marches on its stomach" can be applied to marketing agencies too!